Crystal Stine joins me today. She is a mom to a 6 year old little girl and she married her high school sweetheart. Professionally, she is an author, speaker and freelance communications consultant. Her first book Holy Hustle: Embracing a Work Hard, Rest Well Lifestyle came out this summer. 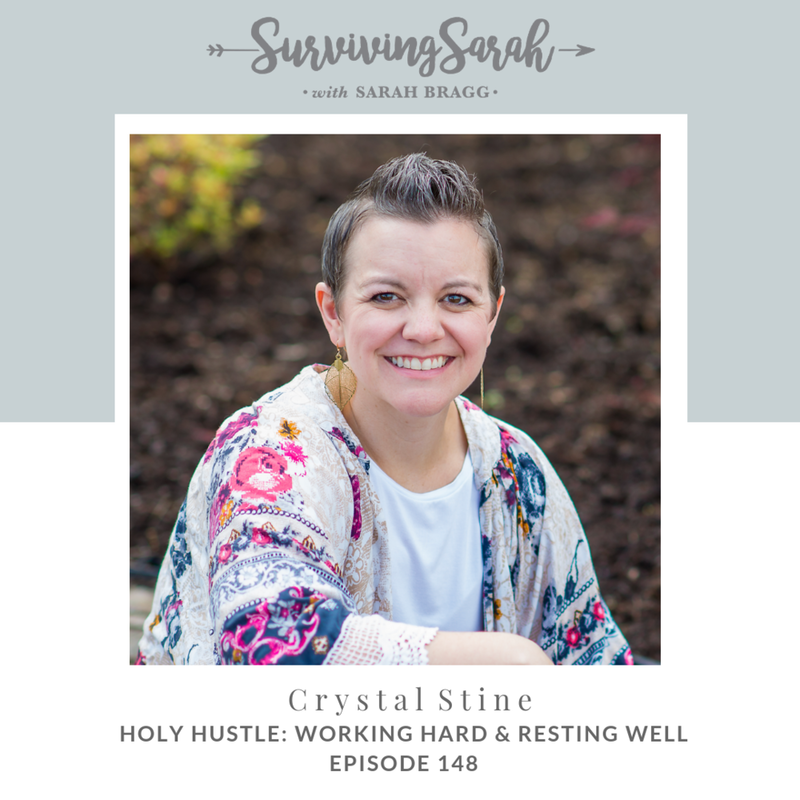 So we talk about what a holy hustle is, what it looks like to honor God in both our work and our rest and how manage the tension between both. RXBAR - RXBAR is offering you an exclusive pack of 6 Adult bars and 4 Kid bars so the whole family is able to enjoy! For 25% off your first order, visit RXBAR.com/SURVIVE and enter promo code: SURVIVE at checkout. I really appreciated her thoughts about success and failure. I don’t know if its just because of my wiring as an enneagram 3, but I have so many thought and feelings around those two words. And those feelings often dictate whether I am over hustling or under resting. It is hard for me to manage the tension between work and rest. But I really appreciated how she said that just how God created each of us differently, we are were created to rest differently. I think its important to figure that out. I’ve found that my day goes better when I have a 30 minute rest time after the kids go off to school. I sit in the quiet, with coffee and usually read something and journal. And that is a form of rest. It gets my mind in a good place before tackling the to do list. Go back to the why - why is it hard to stop working? What are you afraid will happen if you don’t do it? We need to reclaim the word hustle. Stop hustling out of the need to make my worth greater. What season are you currently in? Working more? Resting more? How can you honor God through your work and rest? Read Romans 12:10. What would it look like to out honor each other? Who is someone that models that well? Talk about a time that you failed at something and what did it reveal about yourself? What would resting well look like for you? What would working well look like for you?